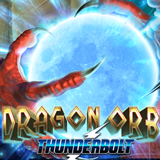 The new Dragon Orb slot -- one of the most anticipated new online casino games to launch this month -- arrives at South Africa’s Thunderbolt Casino next week. The first in a series of introductory bonuses is available now and once the game arrives on September 20th there will be more -- including a R500 no deposit bonus! Dragon Orb is a stunning new game with Expanding Wilds that trigger re-spins. A fierce mythological dragon guards a stunning treasure. Golden Idols, magic potions, lotus blossoms and Chinese artefacts spin on its five reels. The Dragon’s Orb – a magical crystal ball -- is Wild. Players can get up to 175 free spins with their deposit bonuses this month and then get a R500 free bonus. The Wild Orb can appear on any of the middle three reels. It instantly expands to cover all three rows, turning one Wild into three. If more Wilds appear on the re-spin then, once the pays have been awarded, it spins again. Expanded Wilds stick until the next re-spin creating even more possibilities for winning combinations. Dragon Orb’s fantastical images take full advantage of RTG’s high resolution widescreen format It will be available in the download and instant play casino for desktop and laptop casinos and is will also be offered in the mobile casino for smartphones and tablets. Available now. May be claimed up to four times. All Dragon Orb introductory bonuses are valid until September 30, 2017 only. South Africa’s Thunderbolt Casino, popular from Capetown to Johannesburg, offers hundreds of real money online slots and table games from Realtime Gaming, all played in Rands.